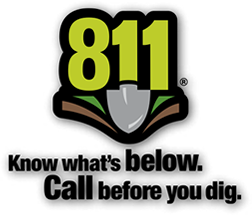 811 — Call Before You Dig — It's the Law! The Sr. Rotating Equipment Reliability Engineer is responsible for the management of all rotating equipment and processes. Identifies, develops, and manages improvement projects and provides engineering services to optimize equipment life and plant profitability. Technical Knowledge – demonstrates the specific skills necessary for the assignments, understands the background and points of leverage to be effective in the role. • Participates in industry organization and on standards committees: API, IEEE, AFPM, etc. • Interprets and evaluates reports such as: inspection, vibration analysis, process data, etc. to determine equipment effectiveness and/or recommend design improvements to systems or equipment. • Designs and implements predictive maintenance systems and guide others through utilization. • Provides support and evaluations to assist in the appropriate prioritization of maintenance activities. • Provides Maintenance with guidance on repair methods based on equipment construction. • Oversees installation, operation, maintenance, and repair of large equipment to ensure that machines and equipment are installed and functioning according to specifications. • Evaluates the economic impacts of maintenance activities to assist in planning and staffing. • Assists with equipment selection for expense and capital projects. • Participates in Turnaround planning (Scope Development) and execution. • Assists in spare parts review for ensuring equipment maintainability and availability. • Champions reliability efforts in areas of responsibility by providing technical assistance in resolving equipment design, operation, and maintenance problems. • Performs Root Cause Analysis (RCA) and tracks the implementation of corrective actions through resolution. • Conducts life cycle cost analysis on new and critical equipment. • Reviews equipment specifications and standards and to develop recommendations for reliability improvement. • Recommends projects and/or studies to Engineering to support overall plant reliability. • Develops cost justification for reliability improvements. • Identifies and maintains an active top ten high impact-refinery equipment list. • Trains on new technologies and methods for maintaining equipment to increase reliability. • Continues to improve the reliability tools and methods utilized in increasing plant reliability. Provide process information in the troubleshooting and investigation of failures. • Experience with API 670 Machinery Protection Systems (Bently Nevada), System 1, and portable vibration data collection and analysis. • Knowledgeable in reciprocating compressor analysis. • Experience with equipment balancing. • Knowledge of Gearboxes, Compressors (Centrifugal, Reciprocating, Screw), Pumps, Mechanical Seals, Seal support Systems, turbines, and motors. • Experience with installation of equipment per API RP 686. • Knowledge of critical machinery repair techniques and best practices. Knowledge of Work Areas and Responsibilities – demonstrates a clear understanding of role and responsibilities within specific area, flexible and agile in adapting to changes or exploring opportunities and challenges. Communications – Verbal and Written – includes written and verbal communications, delivers presentations and has good listening skills. Problem Solving and Conflict Leadership – strives to understand contributing factors, works to resolve complex situations, and helps individuals to resolve conflicts. Delivering Results – Sense of Urgency – defines appropriate goals, works toward achieving goals, articulates vision and steps for achievement, meets deadlines and provides timely status updates and follow-through. Teamwork/Cooperation – accountable to team, works to meet established deliverables, appreciates view of team members and is respectful of others. Initiative – takes action, seeks new opportunities, and strives to see projects to completion. Work Reliability/Quality – strives to eliminate errors, accurate work is a priority, and seeks opportunities to improve product/services. Integrity and Trust – honest, accountable, upholds ethics standards and maintains confidentiality. Leadership Capability – provides strong leadership, sets a good example, skilled decision maker, motivator and encourager. People Development/Coaching – offers feedback, coach’s employees appropriately, rewards employees wisely, takes mentoring role, challenges and develops employees and offers opportunity. Minimum of 7 years Reliability, Maintenance and/or Capital Projects engineering experience in Mechanical, Technical, and Project Management Support Functions in high-risk industry such as refining, petrochemical, or chemical processing. Proficient with Microsoft Word, Outlook, and Excel. © Copyright 2015 Monroe Energy, LLC · All Rights Reserved.